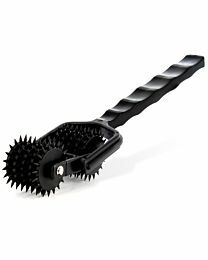 Want to enjoy some extreme sensation play? 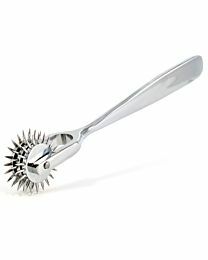 Our range of Wartenberg Pinwheels is guaranteed to get a reaction every time. 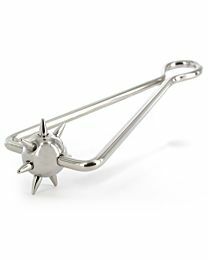 Designed with only the naughtiest of slaves in mind, a Wartenberg Pinwheel will have any sub squirming as the wheel pricks and tickles every part of their body. 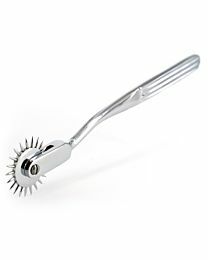 For those slaves that really need to be punished, try dragging the wheel sideways to scratch the skin. These clever instruments are designed to apply carefully controlled stimulus to the body, releasing vast amounts of pleasurable endorphins. The greater the intensity of the sensation play, the greater the need for ultimate fulfilment. 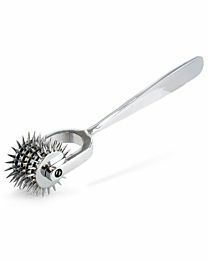 Keep your sub squirming, choose your Wartenberg Wheel today to start your sensation play. 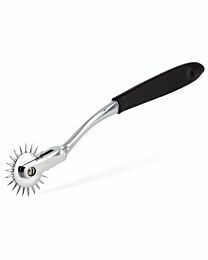 So, you’re filled with excitement at the prospect of enjoying some Wartenberg pinwheel play, but you don’t know where to begin? 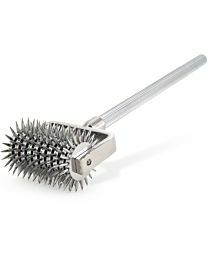 Then find everything you need to know, plus much more, in UberKinky’s impressive Guide To Wartenberg Pinwheels.